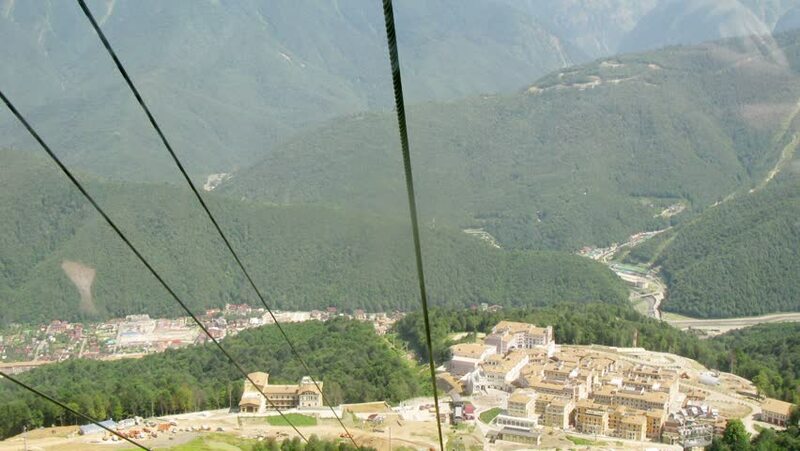 A trip to the trailer by ropeway in Krasnaya Polyana, Sochi. Time lapse. 4k00:16Aerial view. Concrete bridge and fisherman village. Flight forward.